Brushed Aluminum wide bezel surrounds the dial. 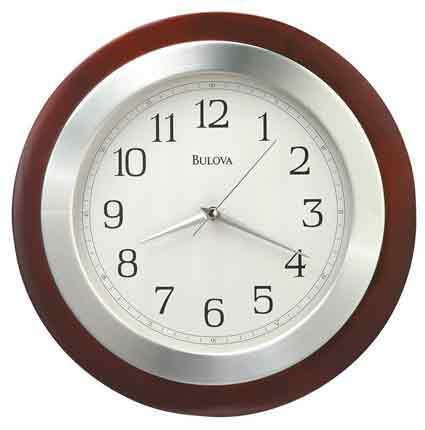 White dial with traditional easy to read Arabic numerals, brushed silver hour, minute and second hands. Minute track marked in five minute increments. 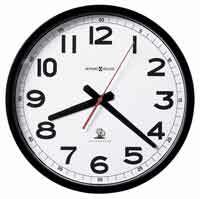 Accurate non-ticking, Quiet Sweep quartz movement uses one AA battery. 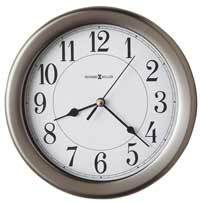 Clocks for sale at The Clock Depot including the C4228 at discount prices.